HD European Electric EOT Crane - Henan Jinrui Machinery Co., Ltd.
HD European single girder eot crane is jointly designed and developed single girder eot crane WITH world advanced technology, design is based on international standard: DIN (Germany), FEM (European), ISO (international), strong rigidity, light dead weight, outstanding structure design and more, effective save your factory space and investment cost. 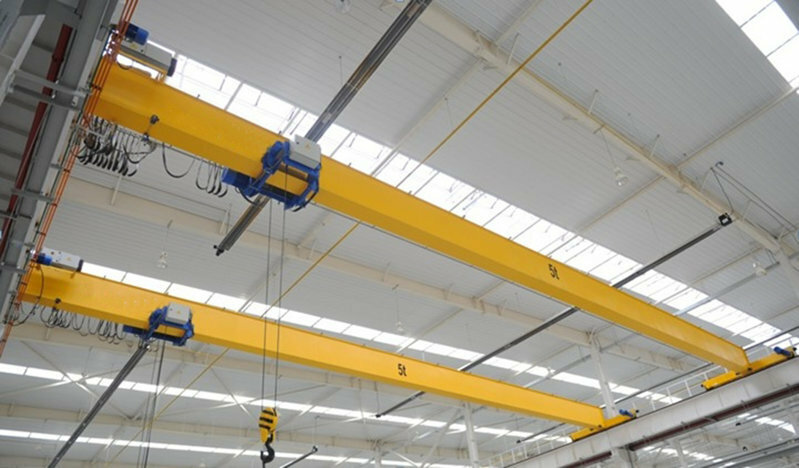 The European single girder eot crane is designed according to DIN/FEM standard with double lifting speed and stepless cross travelling speed and long travelling speed. 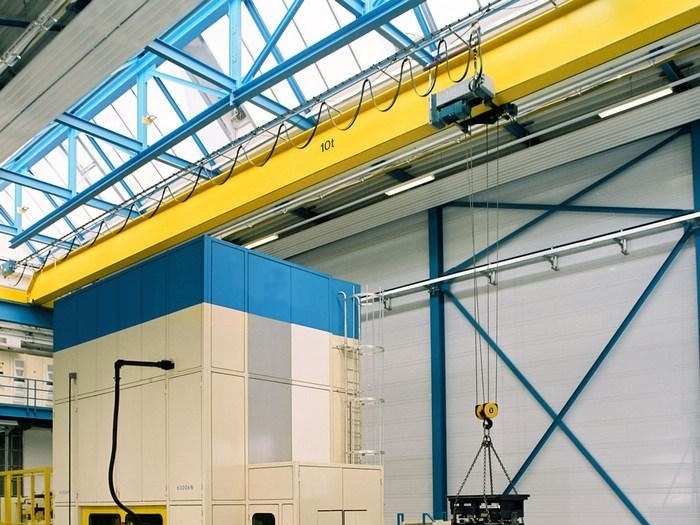 The European single girder eot crane is more advanced on structure design. 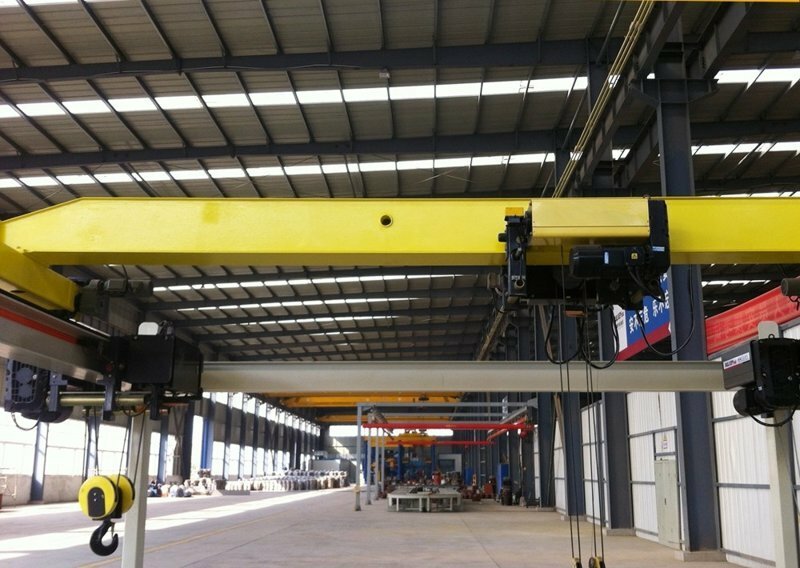 The European single girder eot crane lifting height is 20%-25% lower than normal eot crane, the dead weight can be 20%-30% lighter, the wheel press can be 15%-20% smaller, the hook limit will be smaller so the working space will bigger. 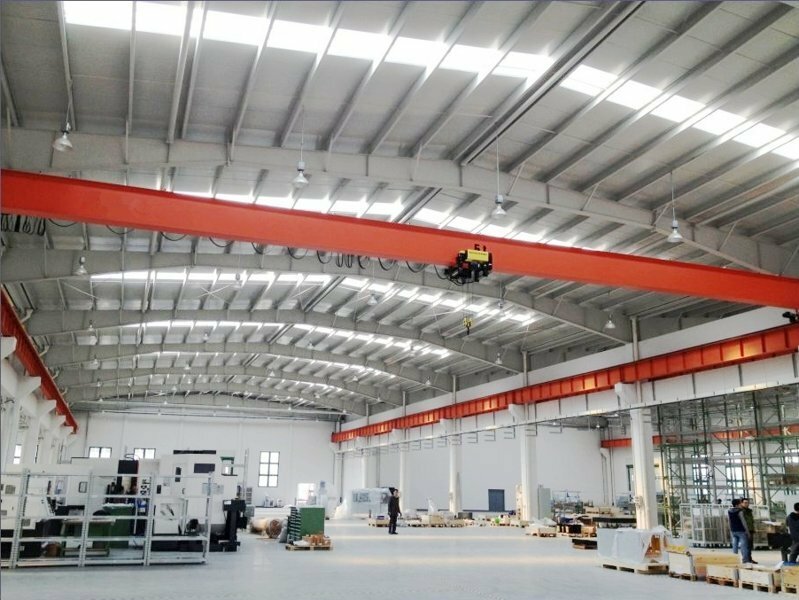 Moreover, the light crane structure can reduce the workshop cost. * With German motor, the total power can be 20% lower than normal crane, save energy. * Composite transmission mechanism has less mid device, the efficiency can be higher. * Frequency control speed, the can be low-high speed 1:10, which will improve the working efficiency with more than 20%. * Free maintenance + easy maintenance design will reduce the maintenance cost for you. * Components which are imported from abroad, the break down rate is very low and will reduce your cost when using the crane. * Safety monitor, which is called the crane black box, it will record every operating. * Electrical anti-swaying system, which can help the crane working with precise position control.